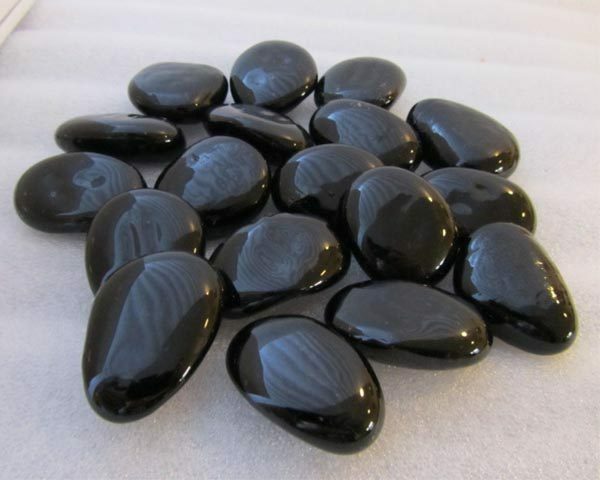 Our black glass pebbles are a smooth, shiny opaque black coloured glass pebble. They have many applications, including use in floral arrangements, vase fillers, arts and crafts projects but are most often used to decorate graves. 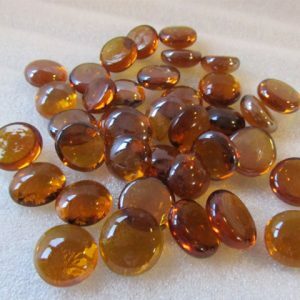 They are available in a kidney bean size, approx, 20-25mm long or a large oval pebble shaped size, approx 30mm long. 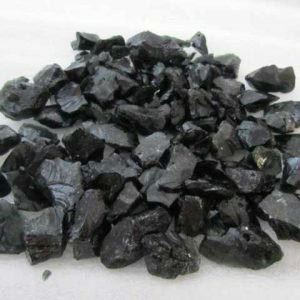 Midnight black colour goes perfectly with so many different types of decor and adds beauty to outdoor spaces, making these Black Glass Pebbles a wonderful choice for a wide variety of projects. 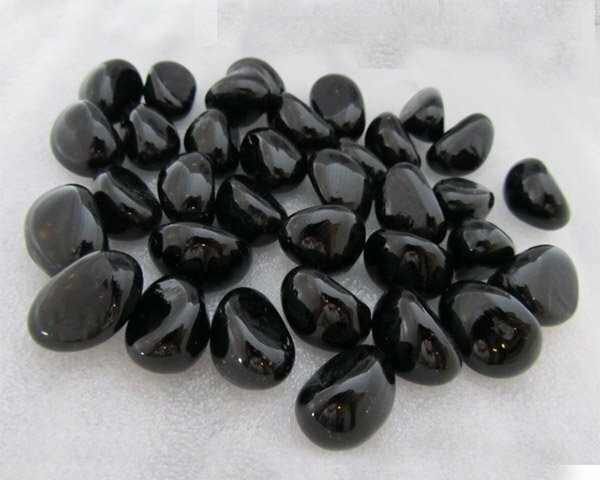 No matter what type of use you have in mind, you’re certain to be impressed with the quality and colour of these solid black opaque pebbles. 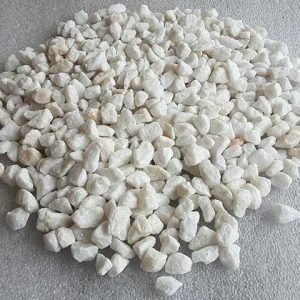 The colour of these pebbles makes them a very popular choice for memorial gardens and kerb setts for graves, but they can also be used for floral arrangements, landscaping, waterscaping and arts and crafts. 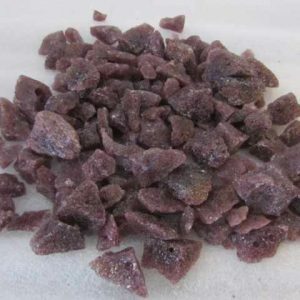 Use them to fill the bowl of a fire table or fire pit to enhance the beauty of the flames or in a fish tank. They are heat safe and waterproof. The Black Glass Pebbles are made from post-consumer recycled glass bottles, making them very sustainable and a green choice of materials for any project. A special manufacturing process ensures that each pebble in the assortments we sell is of exceptional quality. First, we melt down the bottles to a liquid form at a very high temperature. A permanent dye is then added to the liquid to give the glass that black colour. Unlike paint, the dye becomes a part of the glass, so it cannot rub off or fade with time. After the colour has been mixed in, we cool the glass down and process it into the regular pebble shape. 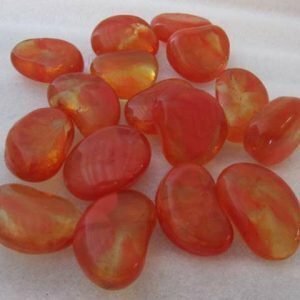 Then, the pebbles are polished until they have a dazzling shine that reflects the light and enhances their beauty. At Midland Stone, we offer Black Glass Pebbles in a number of different bag sizes to provide flexibility when you’re ordering. Our online calculator makes it easy to determine how many of our pebbles you’ll need for any projects. Orders of 250 kilograms or more qualify for special discounts.